Five variants of RhB EWIV. Are you going to use the TT Trams / Shapeways MGB Ge4/4III? No, not at this stage. I will contact the designer first and ask for some changes (location of head lights, change round to square head lights, size of the shield). And ask to offer it in Hi Res Acrylic. 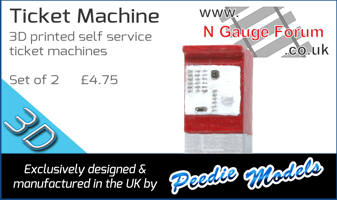 I've owned the Bemo one when they first came out and it would be fun to have one again. You could also contact rhb.ch and buy a copy of a blue print from them, probably more accurate than scaling down a model which was built with compromises already. Just a thought. 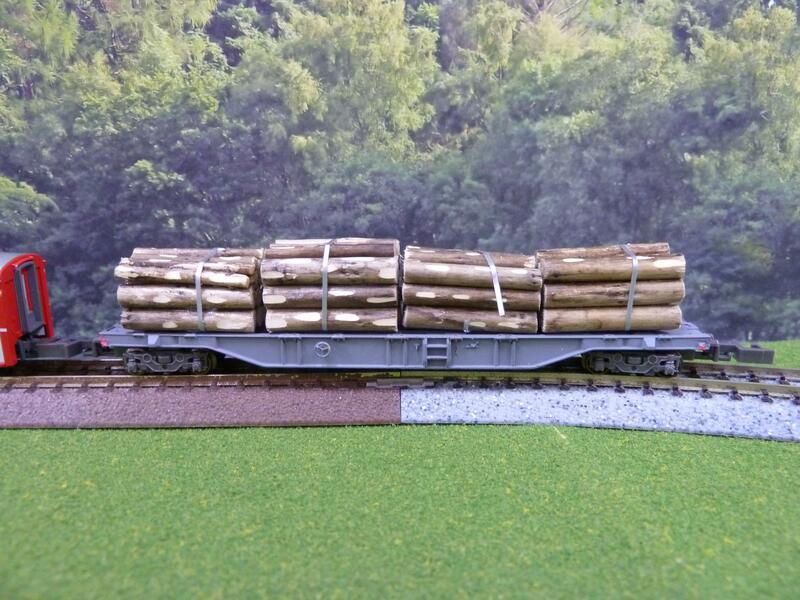 My long bogie flat conversions are either from Fleischmann or Minitrix standard gauge container flats. Both types need to be shortened to approximate to the RhB length by taking off about 20mm; the Fleischmann one can just be cut at both ends, but due to the slightly different construction, the Minitrix one is best cut in the centre. Which one ? This one ? into something close to a RhB Fau ? Not sure if this is correct place to post this. If not please move. I am new to the forum and to wanting to model the Swiss type narrow gauge. I have obtained all of the Kato items like the Allegras and the GE4/4 II and III. Is there a good site or books that can guide me in learning more about the lines. I get confused as to what is what! Is the Rhaetian Railway the parent company for the narrow gauge such as the Bernina express and so on. I'll second the YouTube bit. The picture quality is grand and it's some much more interesting than UK TV. For books ebay worldwide or certainly Europe will pick up any number. I use RhB as a search icon. There are two other relevant topicss. One I find by searching the Forum for "Kato Swiss" and the othe deals with "MDS-Modell" who are bringing out vans. This is the English language homepage, though more info is to be found in their German language pages, everything from management structure to rolling stock. I suggest you go exploring through its many avenues. Again this is the English page. German version may have more, I'm not sure. If you have difficulty understanding the German - as I do - Google Translate is an excellent tool that I find indispensable. Thanks for the leads to more information.